FSH over 10 mIU/ml and/or AMH less then 1 ng/ml are diagnostic for diminished ovarian reserve (DOR) regardless of women’s age. Low AMH predicts low ovarian response to ovarian stimulation and DOR is characterized not only by decreased egg quantity (number) but also quality that causes infertility before menopause. Poor quality eggs, often with broken zona pellucida or other defects produce poor quality, weak embryos and miscarried pregnancies or fail fertilizations. 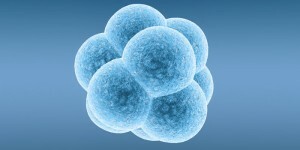 One of the most important predictors for IVF pregnancy is women’s age. In older patients, diminished ovarian reserve (DOR) potentiates age factor effect on egg number and quality. DOR patients have lower pregnancy rates then patients with normal ovarian reserves due to poor response to medications, lower total number oocytes harvested and egg inferior quality. 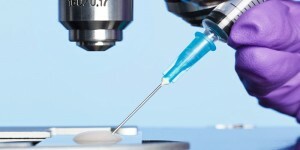 Variety of stimulation medications was tried to increase IVF success in women with poor eggs. Encouraging higher pregnancy rates were reported after synthetic growth hormone (GH) was added to the treatment. GH protocols however, are expensive, considered experimental and usually not covered by insurance. 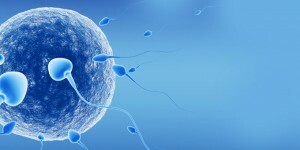 Poor eggs, more frequent in older patients, lower pregnancy rates in ‘mini IVF’ or ‘natural IVF’ where pregnancy rates are usually much lower then in classic IVF. 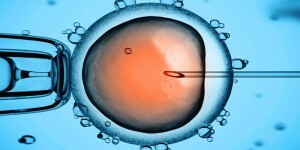 Chances for a quality embryo produced by a single, sub-fertile oocyte (egg) is too low to recommend it. Our pregnancy rate for older women using their own eggs is one of the highest in the New York area: 58% per IVF treatment for women age 35-37 (national rate 37.8%) and 50% per treatment for women age 38-40 (national rate 28.6%).